Sarajevo is a unique city for many reasons; it’s a crossroads of culture and history. The city, which is located in the heart of Southeastern Europe, is one of the most historically interesting cities in all of Europe. This is the city where “east meets west” where many cultures has collide throughout the centuries. In Sarajevo, you can stand on a compass point embedded in modern pedestrian Ferhadija Street and face the 16th century Ottoman quarter, Bascarsija. If you turn a little bit more, you’ll face the elegant Germanic influence of the Austro-Hungarian period. A true cultural melting pot! For me, Sarajevo has this unique atmosphere. I feel free and enjoyable and I truly seize the day. Even though I have spent each summer holiday as a child in the city, I always wake up excited and curious of what the day has to bring. Everyone has a favorite season and every season has its charm. I have spent a lot of time in Sarajevo and I have experienced it through all the seasons, and indeed the city is beautiful throughout all the seasons. 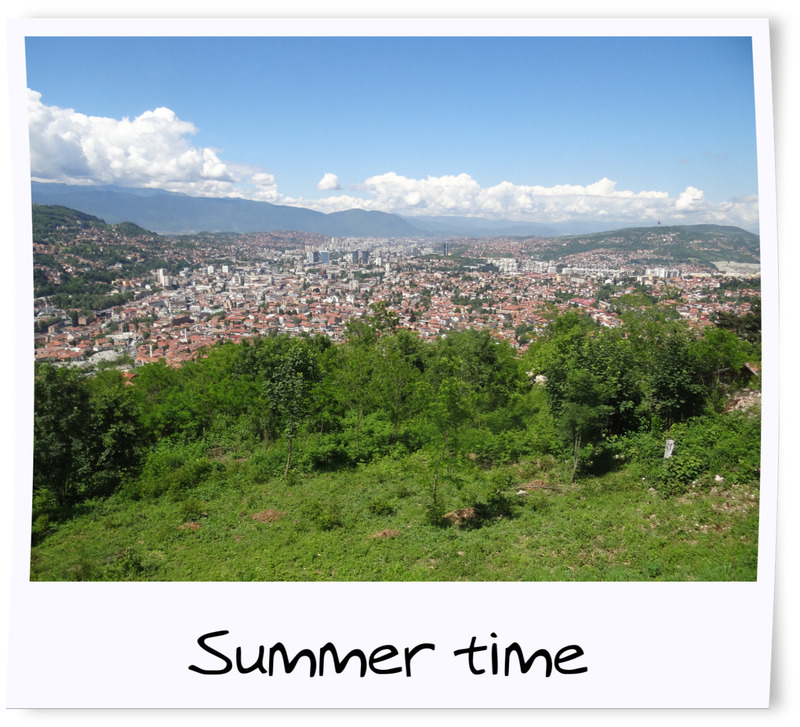 However, my most favorite season to visit Sarajevo is during spring or early fall. Spring because it’s the time of year when nature starts to shake off the coldness of the long and dark winter months. The beautiful colors of spring are taking over Sarajevo and you can finally enjoy the first outdoor coffee and pun on your sunglasses. It’s the pre-touristic season, where the first tourists have just arrived and you have the city for yourself. The same goes for fall, where the leaves are falling down and turning the city into an artistic scene. Both seasons are ideal for hiking, as the weather is not too cold nor too hot. Summers in Sarajevo are also very amazing; with many people on the streets as this is the time of year where the diaspora is coming. However, you have to be aware of high temperatures. The temperature can reach 35+ degrees Celsius and therefore it can be very hard to walk around through the small cobber stone streets. Winter too is beautiful because of the beautiful snowy landscape. 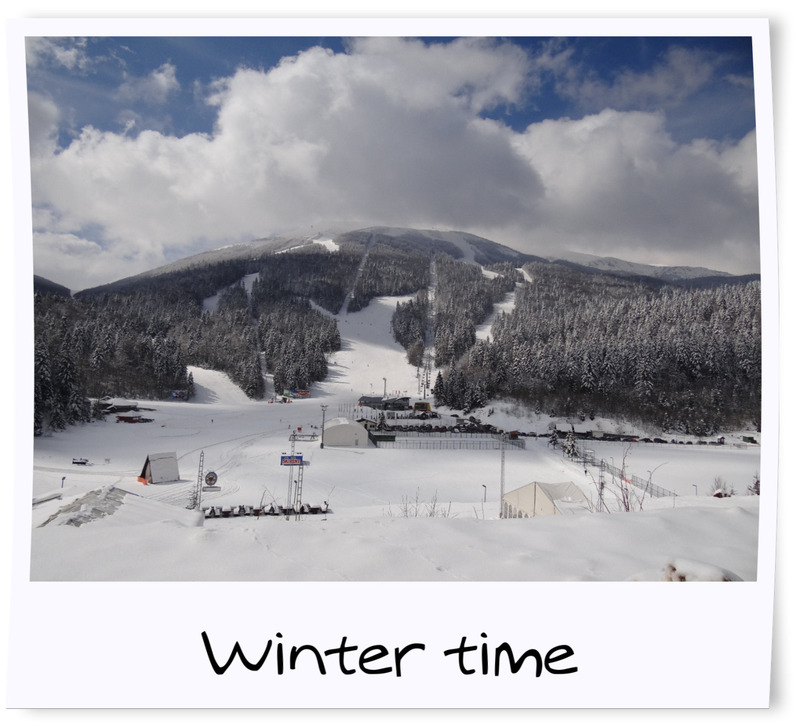 However, I would not recommend you to visit Sarajevo during winter as it’s too cold and there’s not much to do. Also, have in mind that smoking inside is allowed in Bosnia, which makes it even less attractive to come during winter.